Yon antevu avek Rony Cadet, atis ki sot la Gran Ri ak memb Atis Rezistans. Lap pale sou pwoje pal, ki rele Vodou Marassa epi lap diskute tout pwoblem modenite te pote kont sistem lakou an. Li pale sou respe pou gran moun ki vin pedi. 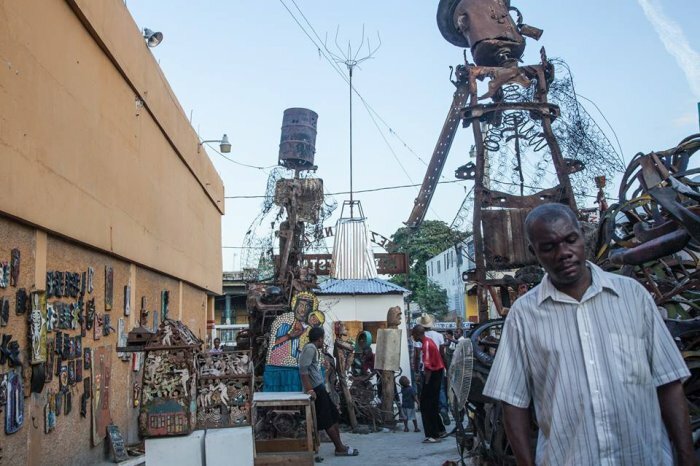 Rony Cadet, a Grand Rue artist and member of Atis Rezistans, discusses his project for the 2015 Ghetto Biennale, Vodou Marassa, centered on painting. The marassa might be thought of as the sacred twins of vodou, twin lwa, or spirits, that Cadet describes as the protectors of the lakou, which literally means “the yard,” but refers to a traditional extended family compound encompassing agricultural land, the homes of various lakou members and, typically, a central yard and and peristil, or vodou temple. 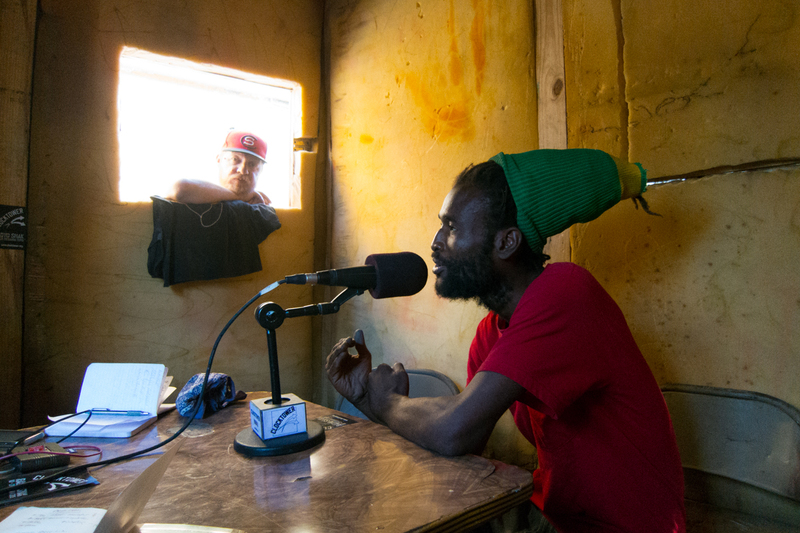 Cadet discusses contemporary threats to the lakou system, the loss of its important connection to nature, and the loss of respect for the elders and their wisdom, a crucial form of cultural transmission that is fading as the lakou system dissolves.